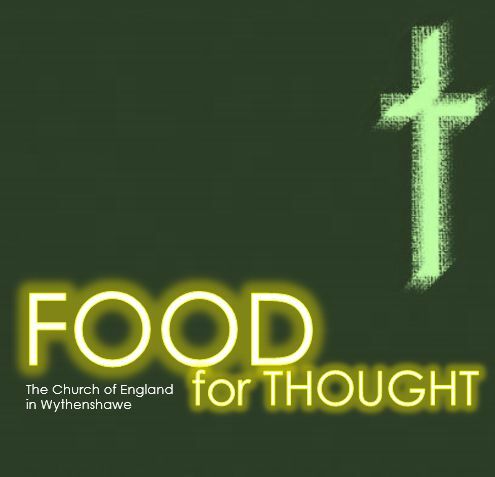 Food for thought is a project that is supported by the Wythenshawe Church of England Team and our Methodist partners. It is based at St Luke’s Church Hall on Brownley Road. Each week we help families with food and a listening ear. Find out more below. We are part of the Wythenshawe Food Bank. Parcels of food are given out to those who have been referred to us. at St Luke's Church Hall. A free breakfast of cereal and toast was offered to anyone who needed it, families and individuals alike. A chance for people to get something to eat and get out of the house – school holidays can be a lonely and stressful time. If you can spare some time to help from making food to welcoming and chatting to people do get in touch. Find out more here. In addition we would welcome contributions of biscuits, books/magazines/colouring books/crayons/pens/crosswords etc. We are really proud that Oliver Bradley a long-standing young volunteer at our Tuesday Food For Thought drop-in won in the Volunteer Of The Year category at the annual Spirit Of Manchester Awards. Find out more on our Facebook page. Well done Oliver!